We are an experienced web designer team with a desire to take the stress out of creating a professional web presence. You will get a custom website design which will be completely unique for your business. We offer beautiful custom websites at affordable prices. Save money to invest in your business. We believe in providing exceptional customer service. We go the extra mile to help. We understand the technical aspects of our business but speak plain English to our clients. Hi! 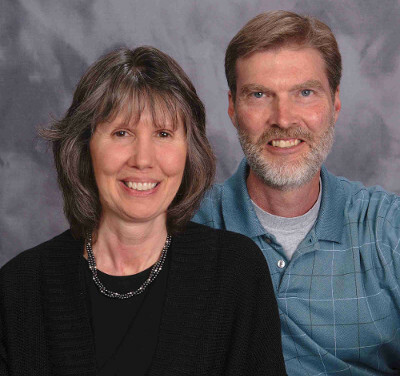 We’re Dan and Laurie Neumann of Inspire Website Design. We started this company so that we could offer affordable web design solutions to professionals and small business owners who want to create a professional online presence. Dan has been designing websites professionally since 2009 and Laurie joined him in 2013 adding her skills in design and business administration. We believe in conducting our business with honesty, fairness and integrity. We understand that, as a business owner, you don’t have unlimited resources to create a website, so we price our services affordably and reasonably. We believe in offering exceptional customer service. We treat our customers the way we would like to be treated as a client/customer. Nothing less is acceptable to us. We respond to your concerns as quickly as we possibly can. We reside in Rochester, NY where we have lived all of our lives. It’s a nice city, just not too sunny! We hope to be able to work with you to create an effective online home for your business. We would be happy to talk with you and answer any questions you might have. We make the process as easy and seamless as possible for you.